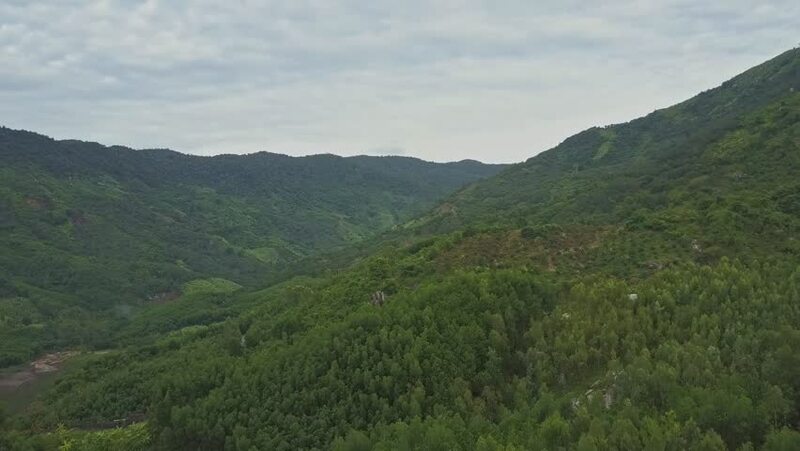 4k00:20Aerial view of mountains covered with green forest, trees with blue sky. Slopes of mountains with tropical forest. Philippines, ,Luzon. Tropical landscape in Asia.